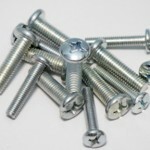 Sometimes, it isn’t really about the material used to make the screw or the fastener itself. 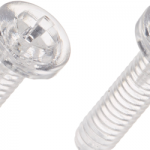 Instead, it’s about the coatings that are used on fasteners to provide them with additional features that you won’t find on regular old screws that you can get at the hardware store. These kinds of coatings can allow fasteners and other materials to be used in environments where no other material has gone before. That’s the case with Halar® ECTFE. 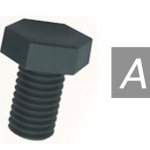 Unlike other fasteners we’ve talked about in other posts, like polycarbonate screws and ABS screws that are made completely out of a single material, Halar® ECTFE is used as a coating. 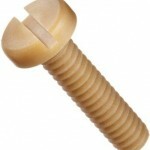 This enables it to be used on screws, sheet metal, pipes, and more. By using a coating instead of being confined to certain kinds of products and materials, you have more options for using this innovative material in your next project. The question is, exactly what is Halar® ECTFE, and what industries are most likely to use this innovative coating? Halar® ECTFE is a copolymer of ethylene and chlorotrifluoroethylene. As a partially fluorinated polymer, it’s considered a fluoropolymer, and it has a semi-crystalline structure. It is available in many different grades that have all been specifically formulated for use as an electrostatic powder coating, fluidized bed coating, or both. You will only find Halar® ECTFE marketed under this name because it’s owned by Solvay Specialty Polymers, a subsidiary of Solvay. This coating has a similar chemical resistance to PTFE, so it is often used in industries where corrosion resistance is needed. It is resistant to acids, even at high concentrations. Permeation of large molecules happens slowly, while small molecules may permeate through the polymer matrix. This permeation is what determines the lifetime of the coating, which means different compounds may be used in order to create different coatings for different applications. Not only does Halar® ECTFE demonstrate chemical resistance, it has good fire resistance with a limiting oxygen index of 52 percent. It also has good insulator properties that feature high resistivity, a low dielectric constant, and a low dissipation factor. It is UV-resistant, and can be manufactured as a transparent layer. Unlike ABS that you’re likely to find in items you interact with every day, Halar® ECTFE is reserved for more demanding applications. One industry it’s used in frequently is the pharmaceutical industry. It is mostly used in applications where equipment is exposed to harsh chemical cleaning. With a Halar® ECTFE coating, equipment won’t corrode as quickly, no matter how harsh the cleaner. Not only can it protect equipment, Halar® ECTFE is also an essential coating in exhaust duct systems. When using the material to coat stainless steel duct systems, operations can guide a wide range of corrosive exhaust streams that are common in industrial applications away from the floor, enhancing workplace safety and worker health. Because of its fire safety rating that meets the FM4922 fire safety standard, and because its surface smoothness reduces the risk of buildup and corrosion, it is a popular choice with many manufacturers and industries. Waste disposal is a tricky area for fasteners and machinery because of the corrosive, ignitable, reactive, and toxic nature of the waste itself. A fluoropolymer like Halar® ECTFE can offer superior strength and resistance to acids in the waste, as well as acids that are introduced during the waste treatment process. It can also withstand stripping, the cleaning process, and it is resistant to abrasions when exposed to slurries and effluents. Piping, fittings, valves, and other components in the waste disposal process are usually coated with Halar® ECTFE. 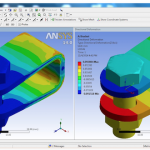 Is Halar® ECTFE right for your application? There are so many uses for this innovative coating that your options are nearly endless! But, that doesn’t mean it’s the best choice. Your application may not require this type of coating at all. For example, it may require a coating that’s less corrosion-resistant and more flexible instead. Click here to learn more about Halar® ECTFE, or give us a call. 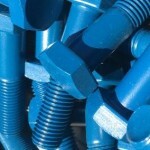 We’d be happy to tell you more about the fasteners we offer that feature this corrosion-resistant coating.